I know a ridiculous amount about the history of the Phillies. Although I think this is true of most Phillies team collectors (how can you not learn about the team’s history when you’re collecting cards that were printed decades before you we re born), I actually pride myself on the breadth and width of my Phillies knowledge. Though I’m certain that there’s plenty of minutiae about the Phillies 130+ year history I don’t know, I don’t expect anything I learn to take me completely by surprise. That changed yesterday when I read Frank Jackson’s tribute to Fred “Cy” Williams in “Song for an Unsung Slugger” over on The Hardball Times. 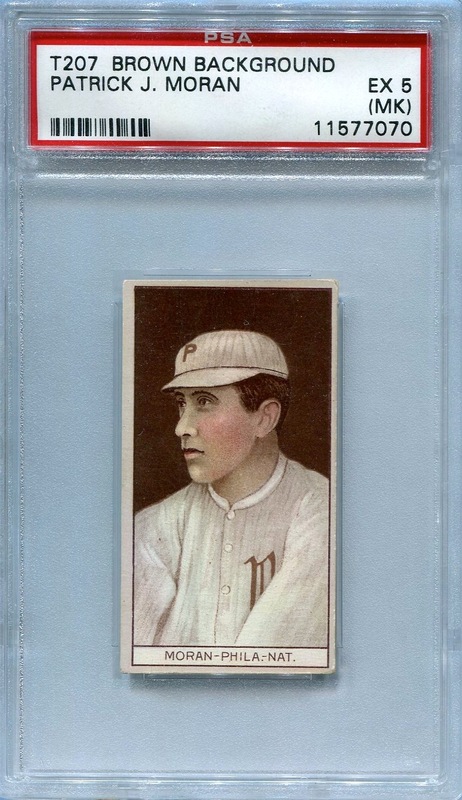 Now, I know quite a bit about Williams, and I’ve previously featured on this blog a few of his cards from my collection. 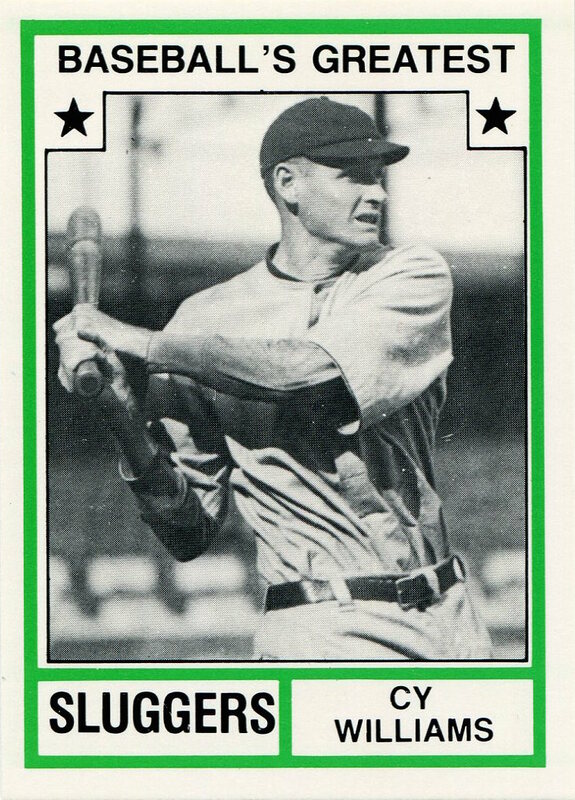 I knew he was a late bloomer offensively, won three NL home run titles for the Phillies, was one of the most feared sluggers in the National League during the 1920s, and remains the oldest man to win a league home run title. Yet, Jackson managed to pass along a piece of trivia that caught me totally by surprise: when Williams retired, he was third all-time in career home runs — just one of three men (the others being Hall of Famers Babe Ruth and Rogers Hornsby) with over 250 home runs. 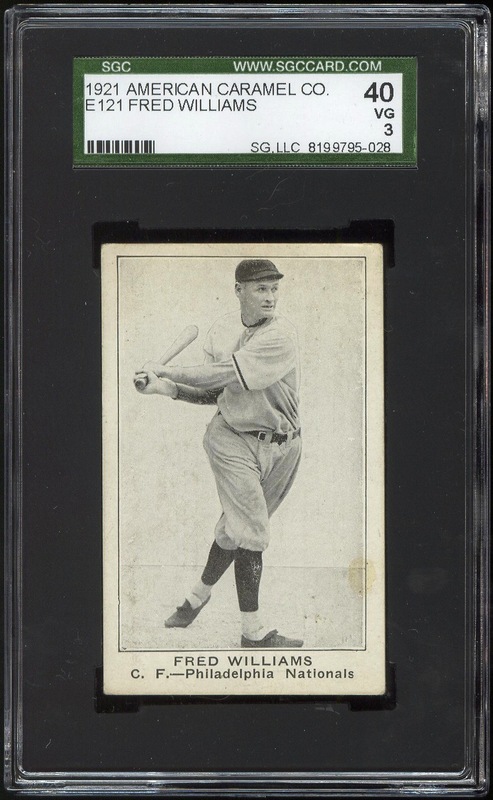 Furthermore, after reading Jackson’s article, I went over to Williams’s page on Baseball-Reference and discovered that in 1926, at the age of 38, he was arguably the best offensive player in the National League — and he didn’t even win the home run crown that year. Despite all the home runs, Williams never received serious Hall of Fame consideration, something Jackson’s article briefly addresses. Even though I’m a “Big Hall” kind of fan, I feel that Williams fell short of reaching borderline candidate status. Still, he was the eighth player to be awarded with a plaque in the Phillies Wall of Fame and deserved to be better remembered than he appears to be. 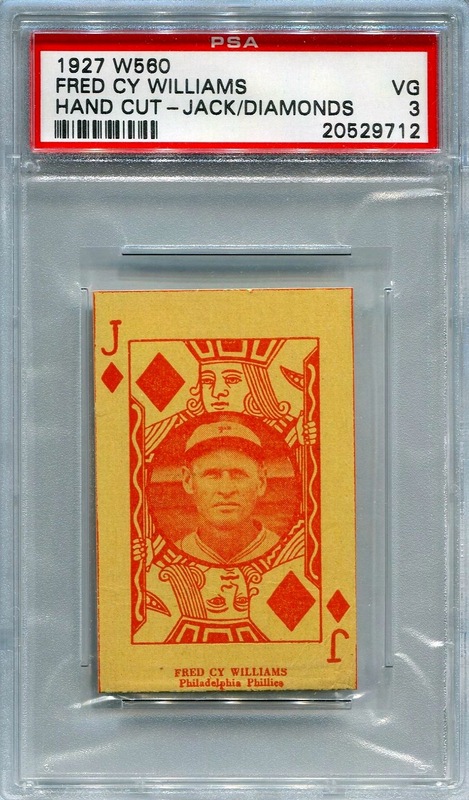 The cards that appeared in the Series of 80 also appeared in the 1922 American Caramel Series of 120 (albeit with slightly different wording on the backs), and according to the Standard Catalog, the 1921 Clark’s Bread and 1921 Holsum Bread sets also reused many of the cards found in this set. 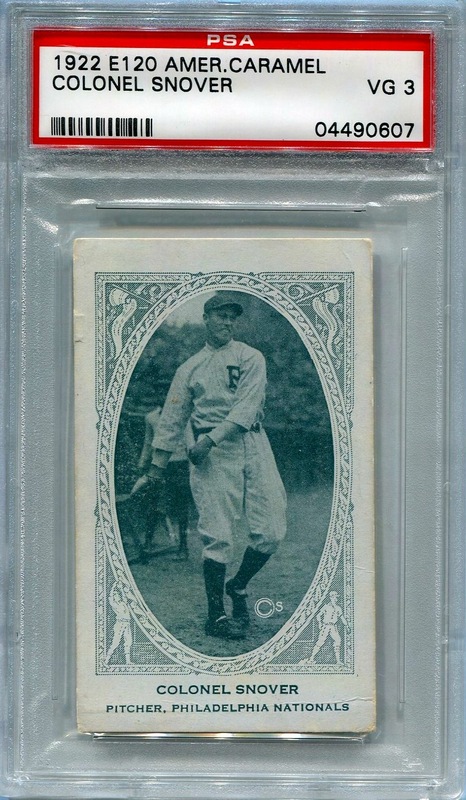 The 1921 American Caramel cards were also used as the basis for the 1921-1922 W575 strip cards, which were in turn repurposed by a number of candy distributors for advertising purposes. 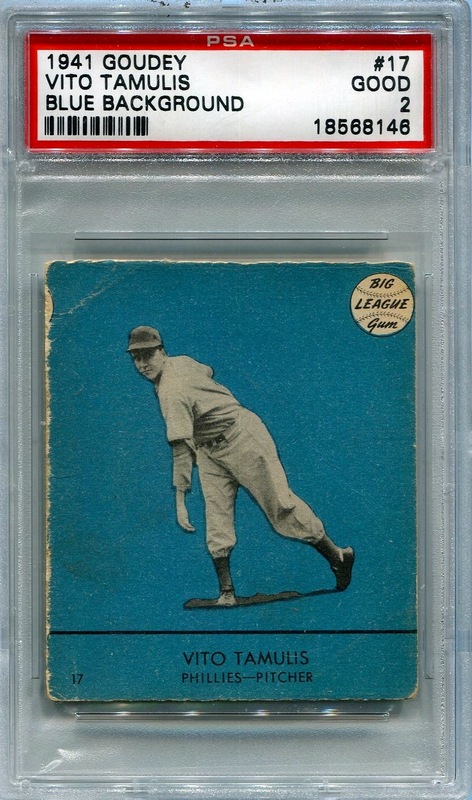 Given the set’s history, it’s actually somewhat surprising that Topps hasn’t decided to recycle this design in a throwback set. Give them time, however — it won’t surprise me to see them do so within the next few years. 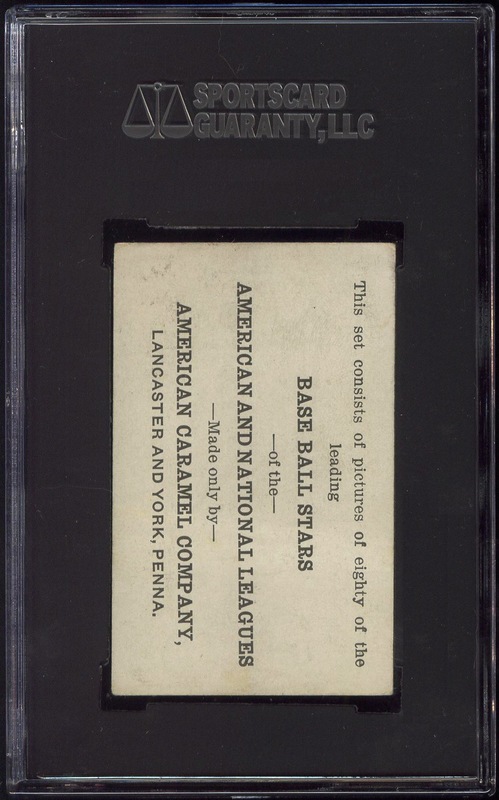 Yesterday, I ended my non-checklist post by stating that I wish desperately that MLB would grant a baseball card license to any of the other sports card manufacturers, and that included Upper Deck. In order to fully appreciate the severity of that statement, I’d like to illustrate why it’s such a big deal that I’m even willing to welcome back Upper Deck into the baseball card market. 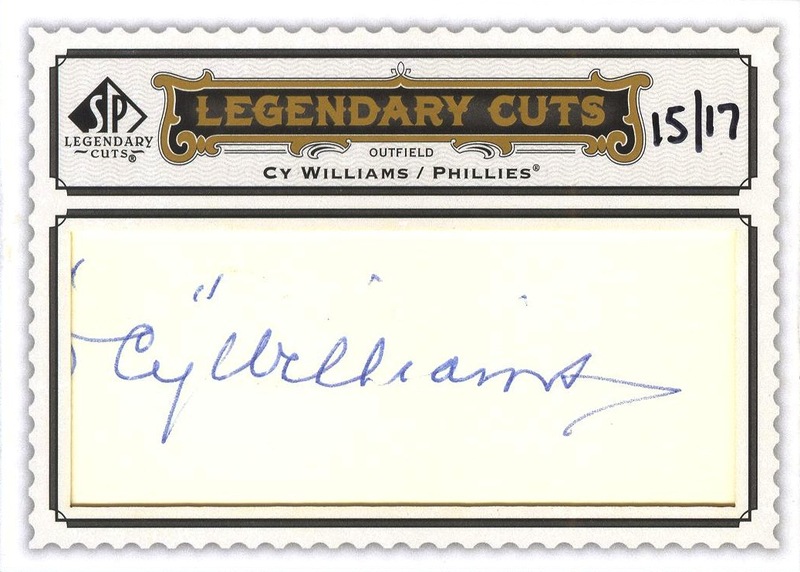 It all started with my purchase of a 2009 SP Legendary Cuts Legendary Cuts Autograph of Fred “Cy” Williams. 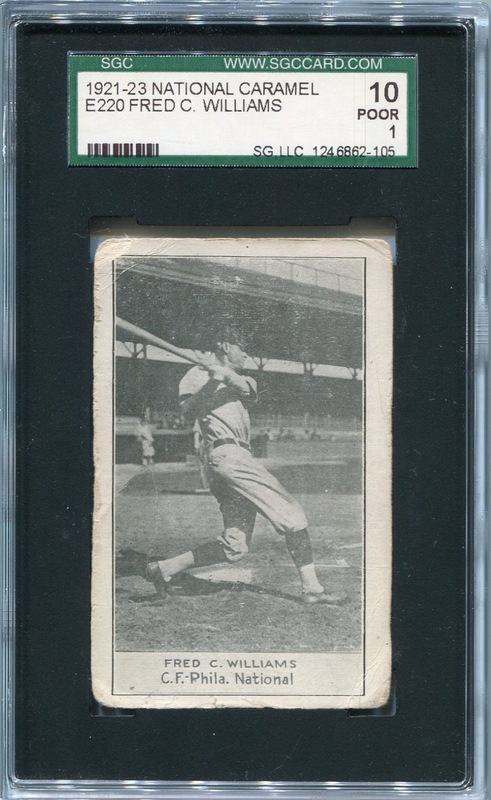 Now, at the time I purchased the card, I was just happy to have it — after all, we are talking about a certified autograph card of a pre-Depression Era Phillie. I needed to use tax refund money to make the acquisition, but at the moment I got the card, I immediately viewed it as one of the jewels of my collection. It still is, but my appreciation for the card diminished as I came to better understand what it was exactly that I now had in my collection. On one hand, I still have what appears to be an authentic Williams autograph. On the other, it’s clearly an incomplete autograph. Upper Deck bought an autograph that was just a little too big for a standard-sized card and bastardized rather than take a loss on it. Worse still, both the 2006 version and the Callison certified cut autograph I posted yesterday suggests that Upper Deck might have been able to properly salvage the “full” autograph if they had framed it the same way as the those two autogaphs and had been willing to instead slice some of the tail off of the “s” in Williams. However, that’s just a guess. Unfortunately, given the scarcity and cost of the Williams cut autographs and, I’m just not comfortable selling the one I have in order to procure one that shows the autograph in its entirety. So, unless I start playing the lottery and get lucky, I’m stuck with the bastardized 2009 version. 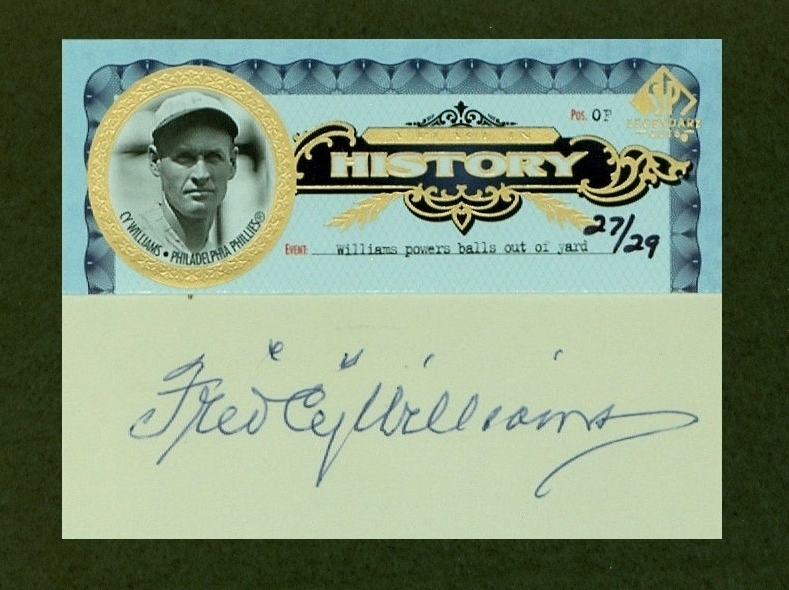 Yes, it is a certified Williams autograph, but it’s also the reason why I’m no fan of Upper Deck.